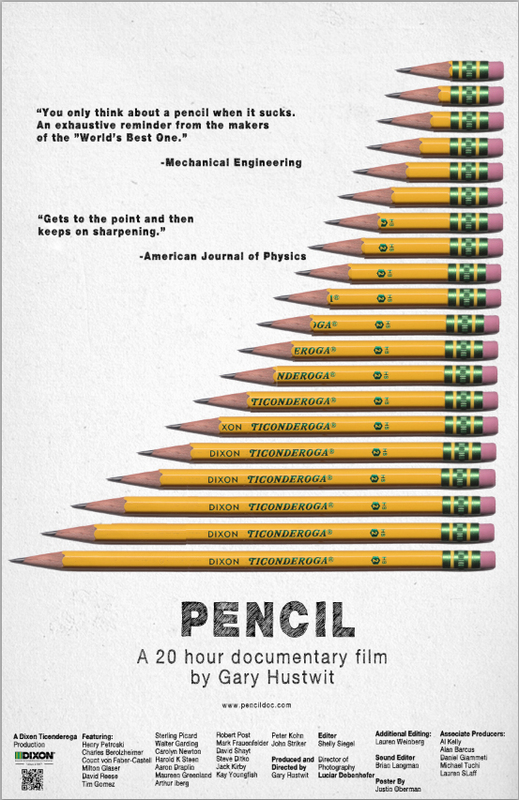 This poster reminds me a lot of Henry Petrosky’s book The Pencil: a History of Design and Circumstance about how wooden pencils are a perfect example of thousands of years of design and engineering, and I, Pencil, about how modern pencils are an achievement of globalization and the distribution of expertise and labor. Justin gave me a lengthy and highly fascinating story about creating this campaign. While I won’t share it all here in its entirety, here are some highlights. 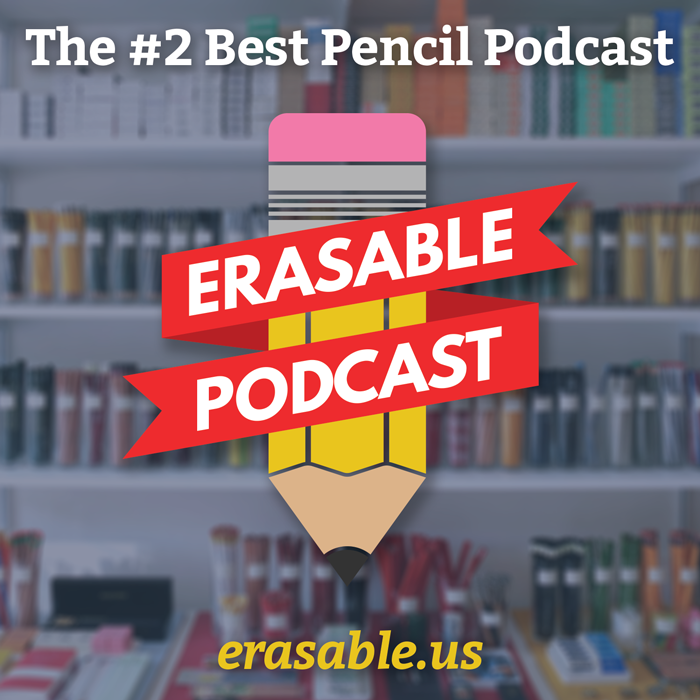 In the end the campaign aims to tell you more about pencils then you ever wanted to know. 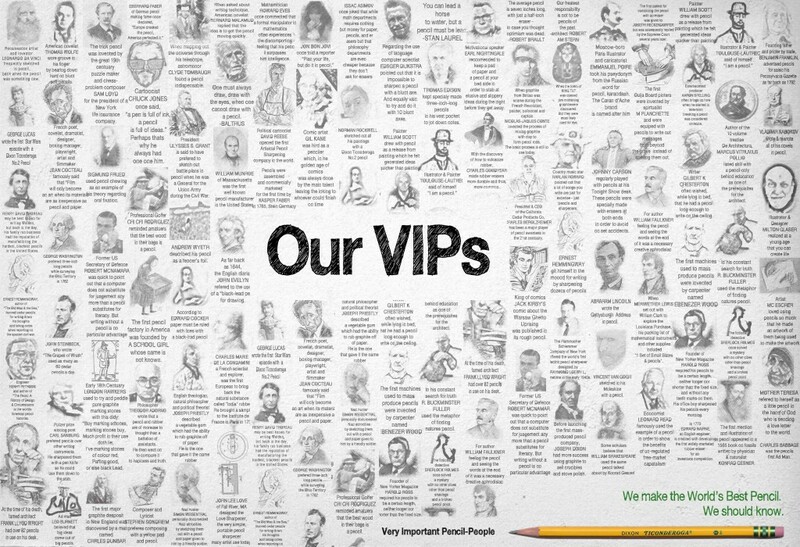 (Unless you’re a pencil blogger — ASW) By doing this, Ticonderoga not only shows that they are very serious about pencils, but by getting really emotional about it they show that they are not just a pencil company but in far the world’s best pencil company. And by re-educating everyone about pencils they can remind everyone of that. Why? Not because people will actually read all the dizzying pencil knowledge they throw at them… people will get the point (pun intended). It’s simply that bad pencils give all pencils a bad name. In fact, the campaign reminds you that undoing the competition is not the same as undergoing it. Bringing to light the novelty of the pencil has the opportunity to make them en vogue.The pencil can benefit from its sense of nostalgia. If this campaign was successful one can imagine a hipster telling his wannabe hipster friends at a cocktail party that, yes, that is a pencil behind my ear and by the way I only use pencils. 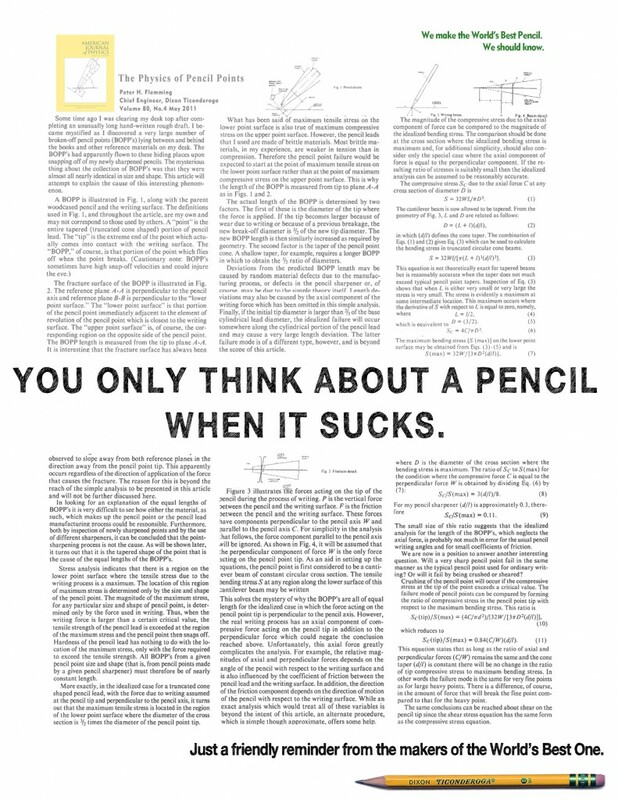 Pencils are cool etc etc etc…. and then I realized that this could be the voice of the campaign, turning Dixon’s “We Make The World’s Best Pencil” into the guy at the party who only talks about pencils. 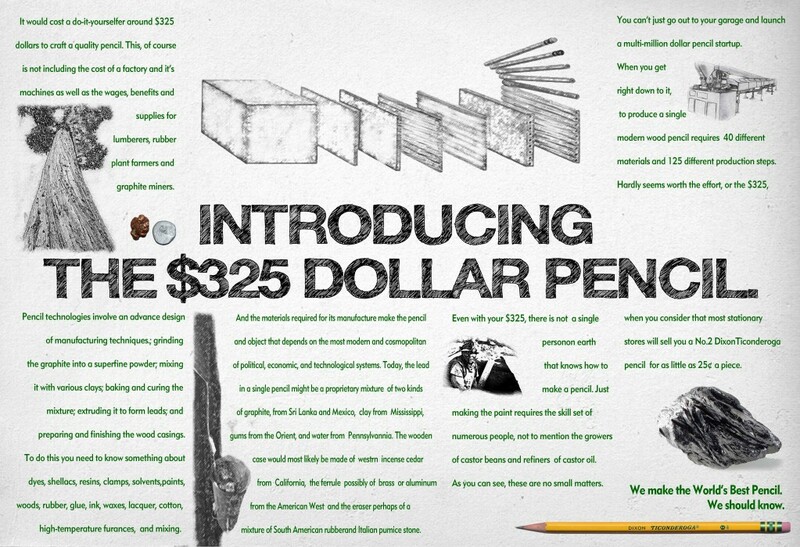 As someone who is often that guy at the party who only talks about pencils, telling his hipster friends why the pencil is making a comeback, I can appreciate this ad campaign. They turn pencil trivia into an art, thereby making someone who is educated about it a connoisseur. Thank you, Justin, for sharing this! Check out this ad campaign on Justin’s website, OberCreative, or on the AdWeek Talent Gallery. And check out a couple more of his posters in the gallery, below.